NEW PALTZ — It was something Brian Moore never imagined he’d ever do, and it still felt surreal after he did it. Moore scored his 1,000th career point as Kingston (13-2) routed North Rockland 62-40 in the second game of the Officials vs. Cancer event at SUNY New Paltz. This is Moore’s second season with Kingston since moving up from New York City three years ago. He reached the 1,000 point plateau in only 37 games with the Tigers. He was at 980 career points prior to today’s game and scored 19 in the first half. He scored his 1000th & 1001st points on a fast-break layup and finished the game with 23. As of right now, Moore is the seventh Section 9 player to score 1,000 points this season. New Paltz senior guard Axel Rodriguez is currently at 975. Rodriguez and the Huguenots play Beacon in the last game of Officials vs. Cancer tonight. Moore added that his biggest motivation to succeed on the court is his grandmother, who passed away in 2012. 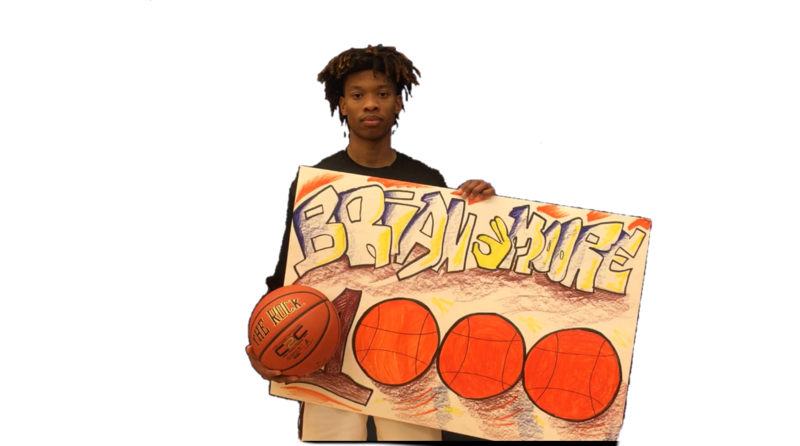 Now that Moore scored his 1000th point, he’s laser-focused on the rest of the season, which consists of four league games and a crossover game against 12-2 Washingtonville.